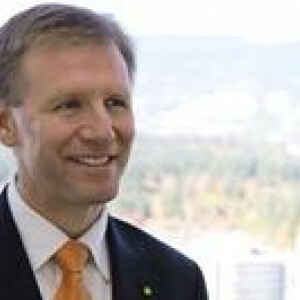 Glenn Ives is the Chair of Deloitte Canada, a role he assumed in June 2010. Born in England, Glenn attended the University of Waterloo in Waterloo, Ontario, graduating in 1984 and becoming Ontario’s UFE gold medalist. Moving from his first employer, Clarke, Henning & Co. to Coopers & Lybrand in 1985, Glenn spent a year in Toronto and almost two in the United Kingdom. He returned to Canada in 1987 and joined TVX Gold Inc. the following year. In 1993, he became director and chief financial officer of Vancouver-based Vengold Inc., travelling to the company’s operations in Latin America, Papua New Guinea and Indonesia. In 1999, Glenn joined Deloitte as a partner and Audit specialist in the financial institutions sector. Using his industry background, he led the transformation of Deloitte’s Mining practice into one of Canada’s largest professional services groups dedicated to the sector. Glenn’s work in the community has its roots in decades of coaching hockey and soccer teams. He has been Deloitte’s Vancouver United Way leader. He also introduced Impact Day in his home office as a way to involve articling students before it became a national Deloitte initiative. Glenn is a Director on the Princess Margaret Hospital Foundation, a member of the Queen’s School of Business Advisory Council, a member of the Catalyst Canada Advisory Board and a member of the CD Howe International Economic Panel. Glenn is also an active member of West Vancouver United Church.